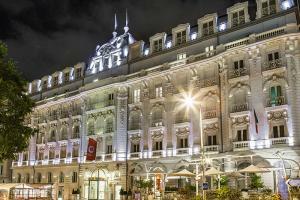 Enjoy the breeze and blue skies of the sunny French Riviera at this luxurious hotel just steps from the Old Town. Guest rooms are clean and sophisticated, with charming modern touches in every corner. Sample gourmet cuisine and relax in the boutique spa - here, every experience is refined and perfected to deliver your perfect vacation.